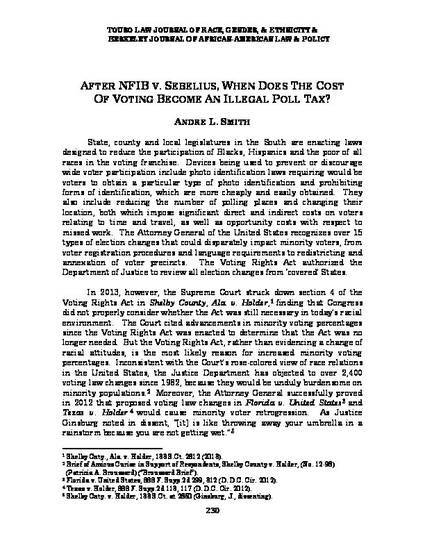 After NFIB v. Sebelius, When Does the Cost of Voting Become an Illegal Poll Tax? Andre L. Smith. "After NFIB v. Sebelius, When Does the Cost of Voting Become an Illegal Poll Tax?"